The posted information is for manufacturers of recreational boats who must comply with the applicable regulations. Depending upon boat type, engine, length, usage, etc., a regulation (and corresponding guide) may, or may not, be applicable. 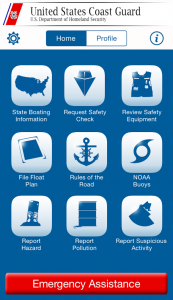 While we encourage recreational boat owners to use the information for their benefit, compliance with the regulations is the responsibility of the boat manufacturers. Potential manufacturers, or importers, of recreational boats must contact the USCG, Boating Safety Division, Recreational Boating Product Assurance Division. Email requests may be sent to MICAPP@uscg.mil the request must indicate the manufacturer's name and U.S. address along with the general types and lengths of boats that will be manufactured. Download the Boatbuilder's Handbook in PDF Format. It is the responsibility of the Boat Manufacturer to ensure that the applicable Federal Regulations have not been updated since the reference date.